The right tires can be crucial to the performance and safety of your vehicle. To get the most out of your vehicle, contact the tire professionals at Schumacher Buick GMC West Palm Beach in West Palm Beach. 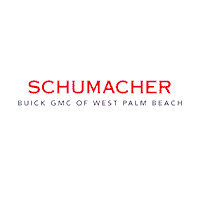 Visit Schumacher Buick GMC West Palm Beach and allow our professionals to help you in finding the right tires for your vehicle. We are conveniently located in West Palm Beach, FL, near Delray Beach. We have a wide selection of top-quality tires for your vehicles. As per your budget and vehicle needs, our affable staff will assist you in choosing the best options for your vehicles. Stop by our West Palm Beach Buick and GMC tire department today, or contact us for more information.